FEELS LIKE NOTHING ELSE Founded in 1978 in California, the UGG brand has built a reputation on luxury and comfort by using only the finest materials in the world, employing the highest standards of craftsmanship, and delivering new and innovative styles. Offering men’s, women’s and kid’s footwear as well as loungewear, outerwear, home products, cold weather accessories and handbags. 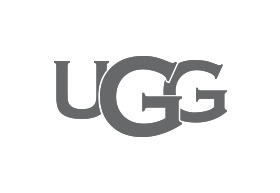 The brand’s concept stores offer the ultimate brand experience with locations worldwide, including New York, San Francisco, Los Angeles, Paris, London, Tokyo, Shanghai and Beijing.Make no mistake about it – while many try to follow in the brand’s footsteps, there is only one UGG.